Whether customers are looking to purify an oily complexion, repair and soothe dry skin or prevent breakouts, a face mask could offer the solution. Here, Lisa de-la-Plain, co-founder and professional beauty therapist, Beauty Flash, shares her essential tips for choosing the perfect one based on skin type. Caused by a lack of moisture, dry skin can affect anyone and it’s often hereditary. Dehydrated skin on the other hand is caused by external elements like weather, diet and lifestyle choices, making the complexion dull, increasing the look of fine lines and causing temporary sensitivity. Using a hydrating face mask alongside daily skin care can boost the skin’s radiance. Lisa recommends: Dermalogica’s Skin Hydrating Masque quenches the skin’s thirst, shielding it against premature ageing and giving it vital anti-oxidants to help soothe and restore. If fine lines and wrinkles are causing worry, a smoothing and firming formula will do just the trick. Along with a current skincare routine, using an anti-ageing face mask can enhance the results. Lisa recommends: Decleor Prolagene Lift Lifting Flash Mask contains Iris Essential Oil, Iris Pallida, to help combat the effects of time while preserving the skin’s integrity. Iris Pallida leaves - also known as Sweet Iris - have the unique ability to encourage a tighter, firmer, more youthful look. It also has a moisturising capability too, softening and plumping the skin. Finding the right face mask can help kill blemishes deep under skin's surface before they become a problem and minimise the redness and size of existing spots. Whether a customer has dry or dehydrated skin, oily and congested, sensitive or normal, there are face masks suitable for everyone who wants to banish breakouts. The skin should feel tightened and toned after a single use, helping to remove excess oil, reduce the size of pores and remove impurities. Lisa recommends: Applying a thin layer of Dermalogica’s Clear Start Blackhead Clearing Fizz Mask to a clean face, two-three times a week will help combat breakouts. It’s a unique mask that transforms into an active fizzing formula to clear pores and target blackheads. 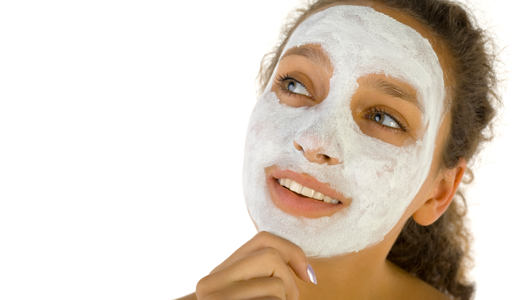 Using a face mask regularly can help stimulate blood circulation, helping to improve the look and feel of the skin. What’s more, it only takes a few minutes a week to achieve. Lisa recommends: Decleor Life Radiance Flash Radiance Mask is an intense express mask which adds instant radiance to the skin and hides any imperfections. It contains Elemi and Saro Essential Oils, to promote microcirculation and to purify and cleanse. While putting clay or mud on the face may seem odd at first, face masks containing these miracle natural wonders will be deeply cleansing for oily or normal skin. Naturally cooling on the skin, both clay and mud help to repair sun damage, combat acne and remove impurities from pores. Lisa recommends: MediK8 Natural Clay Mask is enriched with the purifying energy of bentonite and kaolin clay, gently detoxing the skin to promote a clear, radiant complexion.